Home » blog » 2018 20 Best Wedding Photographers in Toledo Award! 2018 20 Best Wedding Photographers in Toledo Award! Holy Toledo!!! I am published & awarded as “20 Best Wedding Photographers in Toledo” by Expertise! What an honor to be classified among an AMAZING group of professionals & comrades. Our goal is to connect people with the best local experts. 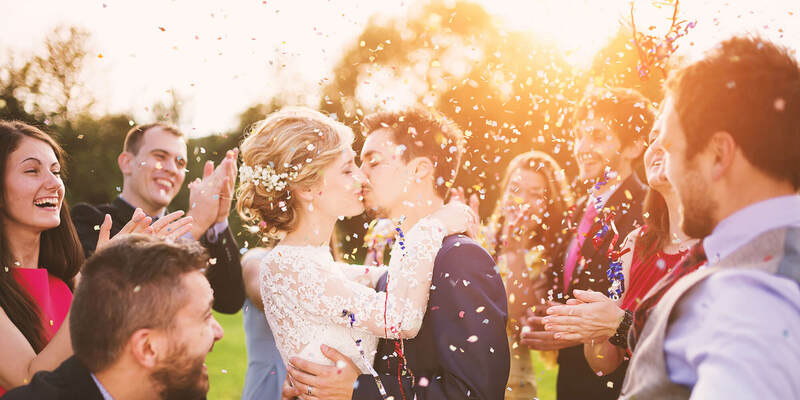 We scored wedding photographers on more than 25 variables across five categories, and analyzed the results to give you a hand-picked list of the best wedding photographers in Toledo, OH. CAP-ture Photography is a Perrysburg photography studio that specializes in wedding and engagement photography. The studio is operated by the mother and daughter team of Carol Alspaugh and Abby Colter. In addition to wedding and engagement photography services, the studio also offers portrait photography services for maternity, newborns, children, families, and seniors. Gage Blake Photography is an Oregon photography studio that specializes in wedding and engagement photography. The studio owner Mandy provides wedding and engagement photography services in the Toledo, Ohio area and is available for travel services to destination weddings as well. She also provides lifestyle photography services for families, children, and newborns. Mandy is also a volunteer photographer for various organizations. Grier Photography is a Toledo photography studio owned and operated since 2008 by the father and son team of Andy and Steve Grier. The studio is a full-service photography studio and specializes in wedding and engagement photography. The studio also offers family portraits, senior portraits, children’s photography, event photography, and product photography services. Holly Omlor is a Toledo-based photographer. She specializes in wedding and engagement photography as well as high school senior portrait photography. Holly provides professional makeup and hair service for her high school senior portrait sessions and also offers products such as wall art pieces, announcements, and albums. Jennifer Mott Photography LLC is a Perrysburg photography studio founded in 2007 by owner Jennifer Mott. Jennifer specializes in wedding and engagement photography throughout Northwest Ohio, Southeast Michigan, and worldwide for destination weddings. She also offers various portrait photography services for families, babies, and children. Jennifer’s photography services are available on-location at her client’s homes and other locations, as well as in her natural light boutique studio. JH Photography Studio LLC is a Toledo photography studio that was founded in 2003 by owner Jennifer Hamilton. The studio specializes in portrait photography for families as well as wedding and engagement photography in the Toledo area. JH Photography Studio LLC also provides photography services for maternity, newborn, baby, family and professional headshot photography. JLK Photography is a Liberty Center photography studio that has over 20 years of professional photography experience. The studio specializes in wedding and engagement photography, as well as photography services for corporate and social events, concerts, sports, family, and senior portraits. Kristen Nicole Photography is a Holland photography studio that specializes in wedding and engagement photography. Kristen has over 10 years of wedding photography experience and offers a wide range of wedding photography service packages. She is available for weddings in any location in Ohio or Michigan and books between 15-20 weddings per year to ensure the highest quality of service for each of her clients. Love is Greater Photography is a Toledo photography company owned by Stacey Carter that was founded in 2006. The studio provides a wide range of photography services. The studio specializes in wedding and engagement photography, event photography, and senior portrait photography. In addition, Love is Greater Photography also offers prints and various other products to its clients. Luckybird Photography is a Toledo photography studio that was founded in 2013 by owner Lindsay Rozelle. The studio specializes in wedding and engagement photography and only books up to 25 weddings per year to provide the highest quality of service to their clients. The studio offers various luxury products to complete the experience. Lindsay and her team pride themselves on their attention to detail, timeline planning services, and laid-back approach to documenting a wedding day. Mary Pencheff is a Toledo photographer who has nearly 25 years of professional photography experience. She has a background in fine art as well as a degree in photography. Mary provides a wide range of photography services including wedding and engagement photography, senior portrait photography, lifestyle photography for families and children, and commercial photography. Mary Wyar Photography is a Toledo photography studio that was founded in 2008. Mary specializes in wedding and engagement photography and she offers various wedding photography packages that include engagement sessions, online proofing, and custom designed family heirloom albums. She also offers various other photography services for family, children, and baby portraits, as well as boudoir photography. Her clients speak highly of her easygoing personality, reliability, and professionalism. Memories Captured by Brenda is a Holland photography studio that was founded by Brenda Winchester. Brenda specializes in wedding and engagement photography throughout Northwest Ohio and Southeast Michigan. She also provides various portrait photography services for seniors, families, babies, maternity, and children. Her clients speak highly of her professionalism and creativity, as well as her friendliness and ability to put her clients at ease. Photos by Yvonne is a Temperance photography studio that has been owned and operated since 2008 by Yvonne Moryc. Yvonne specializes in wedding and engagement photography and is also highly qualified in graphic design and illustration. She offers additional services such as custom designed wedding albums and custom artwork for your home. She also loves boudoir photography. Sandy Haas Photography is a Toledo photography studio that was founded in 2004 by owner Sandy Haas. Sandy specializes in wedding photography in Northwest Ohio and is available for travel worldwide for destination weddings. She does not offer wedding photography service packages and instead offers a base fee and a variety of a la carte services based on the needs of her clients. Sandy also provides her clients with various products such as custom-designed albums and wall art. Stone Fruit Studios is a Holland photography studio owned and operated by Lorenzo Flores. Lorenzo offers a wide range of photography services including wedding and engagement photography, portrait photography for families, newborns, and children, and senior portrait photography. Lorenzo has provided his photography services throughout Ohio and Michigan and is also available for travel worldwide for destination weddings. Swatch Studios is a Toledo photography studio that is owned and operated by the husband and wife team of Brooks and Diana Clayton. Brooks and Diana have been shooting together for nearly five years and their studio specializes in wedding and engagement photography. The studio also provides wedding videography services as well. Swatch Studios also offers various products such as signature prints and albums, wall art, and canvas wraps. TJ Irwin is a Toledo-based photographer who has over 30 years of both amateur and professional photography experience. TJ specializes in traditional and photojournalistic wedding and engagement photography as well as commercial photography. He also offers portrait photography services for families and seniors, as well as event photography, group photography, and fine art photography. Toledo Wedding Photography is a Perrysburg photography studio that is owned and operated by Phil Huckaba. Phil specializes in wedding and engagement photography and offers a wedding photography package for full wedding coverage, online hosting, and various extra products such as hardcover storybooks. He does not offer wedding packages and instead allows his clients to select the particular services that they want. Viridian Ivy Images is a Sylvania photography studio that is owned and operated by Jessica Patton. Jessica specializes in wedding and engagement photography in Northwest Ohio and is also available for travel locally and worldwide for destination weddings. She also provides boudoir photography, family photography, and children photography services for her clients. Jessica’s clients speak highly of her kind and genuine nature as well as her willingness to truly get to know her clients.